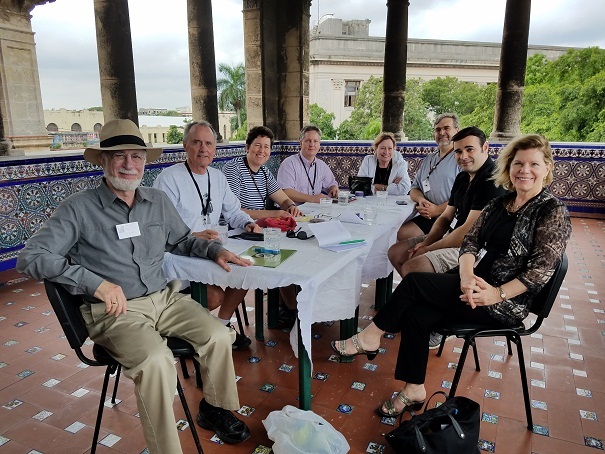 Our 2017 Annual Conference in Havana was the most unusual and probably most memorable of our Conferences to date. 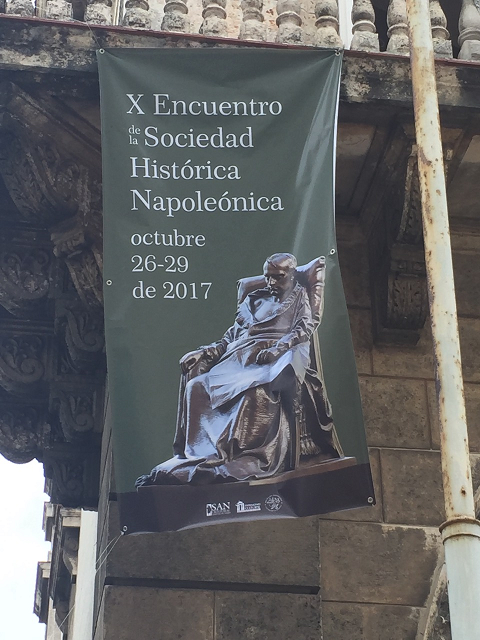 We worked in close association with the Office of the Historiador of the City of Havana (OHC) and the Museo Napoleonico, and the Museo Napoleonico, Cuba. Some might ask “why Havana”? 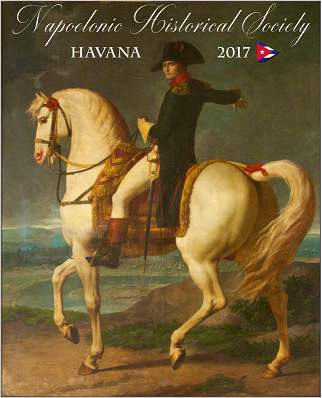 Actually, Havana and Cuba do have multiple Napoleonic connections. 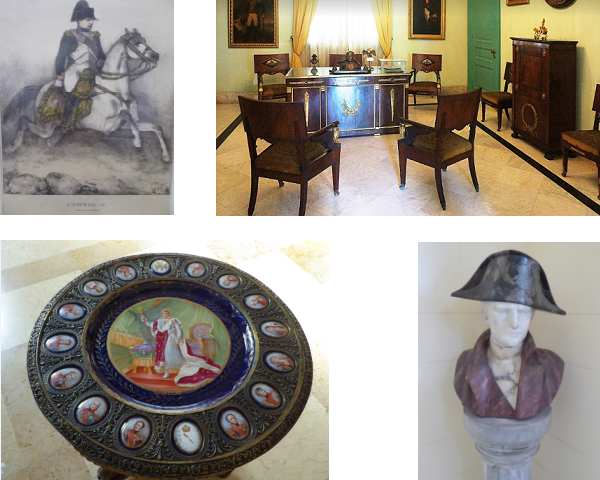 One is that the City of Santiago de Cuba was home to Napoleon’s St. Helena doctor, Dr. François Carlo Antommarchi, from 1837 until his death in 1838 and he left behind important Napoleonic artifacts, some of which are on display in the Museo Napoleonico in Havana. The most significant reason for us to hold our conference there is that between the 1930s and late 1950s, Julio Lobo, Cuba’s richest sugar merchant, assembled an impressive collection of Napoleonic artifacts that included original documents, books, artworks, sculptures, furniture, weapons and personal objects. These works are housed in the impressive (and recently renovated) Museo Napoleonico and is (arguably) the finest collection of Napoleonica to be found outside of France. In addition, French culture in general is well represented in Havana through architecture and art. The Museum featured a special exhibition of Napoleonic engravings, organized in association our Conference. This exhibition shows selected treasures of the Museo Napoleonics’s collection of engravings, which has more than a thousand pieces. They have selected some of the most important engravers and the most famous printings in each Napoleonic period. Each engraving highlights the power of the Napoleonic image and reveals the importance of propaganda and the secrets of “l’art du l’estampe” in the Napoleonic Era. Our conference started off on Thursday night with a reception in the garden of the Museo Napoleonico. We rode from our hotel, the Hotel Sevilla, to our reception in some of the 1950s American convertibles for which Havana is well known. 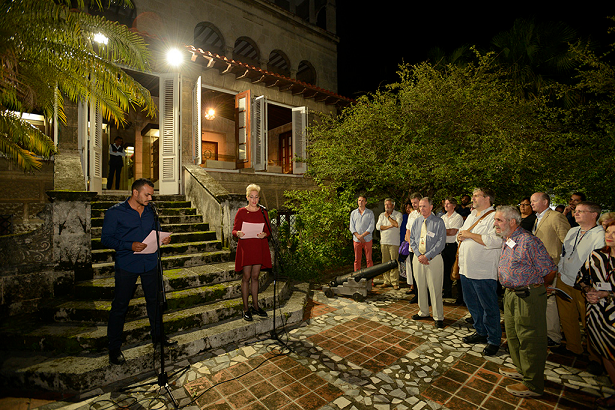 The reception featured welcoming remarks by a representative of the office of the Historiador of the City of Havana and Dr. Sadys Sánchez Aguilar, director of the Museum. Hank Zucker, our president, thanked them and their colleagues for their welcome and for their help in organizing our conference. 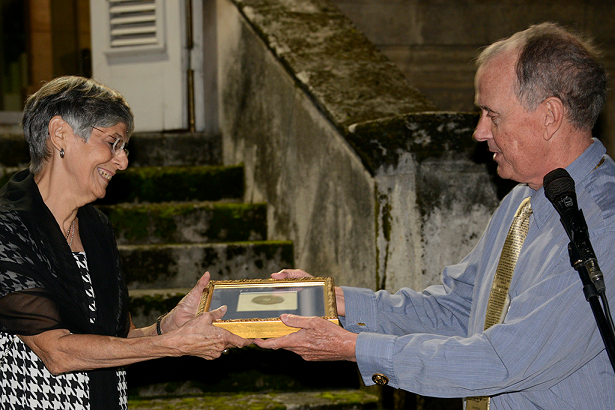 Past Napoleonic Alliance president and current International Napoleonic Society president J. David Markham presented the Museum with two framed engravings to enhance their collection. 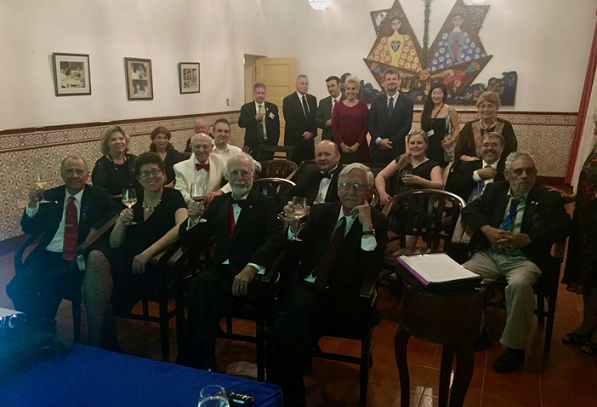 All the remarks featured English or Spanish translations as appropriate – a unique feature of this conference. We then had ample food and drink and were able to tour the lower floor of the Museum. We held our annual Board of Directors meeting back at the Museum the next afternoon. We all agreed it was the nicest setting ever for one of our board meetings (the only one worth a picture). We and some of our other members then toured the rest of the Museum we had missed the night before. Friday finished with a cocktail reception and dinner, featuring a talk by member Mark Billings on the Siege of Toulon, including Napoleon’s insights and connections and how they played a major role in launching his career. Saturday morning we walked or took taxis to the conference site. The OHC generously made available the Palacio del II Cabo (http://segundocabo.ohc.cu), located in the Old City of Havana (a UNESCO World Heritage Site) at the Plaza Des Armas. This newly restored 17th Century Baroque building frames one side of the plaza and was a wonderfully central (and modern) location. This site also offered simultaneous translation of our talks. You can see the list of speakers and topics below. They were all very interesting and in some cases amusing. A bonus was that Havana’s Naval Museum is located just steps away from the conference location at the 16th century Castillo de la Real Fuerza. Many of our attendees took advantage of the chance to see their ship models, which emphasized ships of the Napoleonic era, curiously including HMS Victory and a picture of Nelson. By far the most impressive part of their collection was a 1:25 scale model of the Santisima Trinidad. That ship was the only four decker of that era and had been built in Havana. 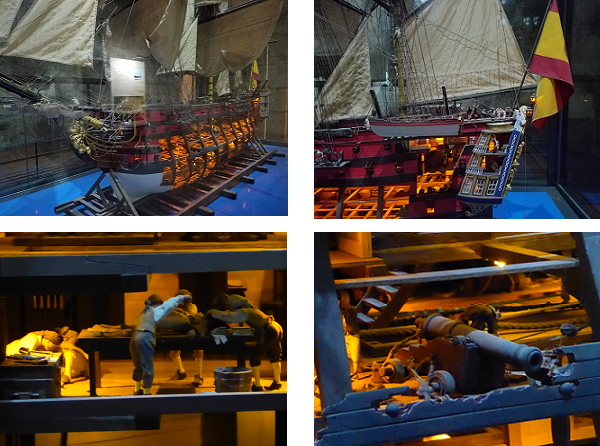 The hull of the model is over 8 feet long, and the model is amazingly detailed, including some scenes of life inside the ship. A visit is highly recommended for anyone interested in 18th-century or early 19th century naval combat. Saturday concluded with another cocktail reception and our annual Gala at our hotel. It featured a talk by Prof. Susan Connor on Napoleon bringing order out of chaos. 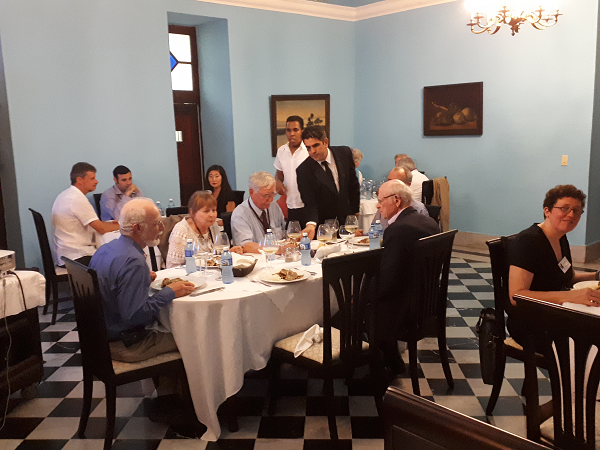 Sunday featured a walking tour of the old city and a fine lunch at ChaChaChá Bar-Restaurante. 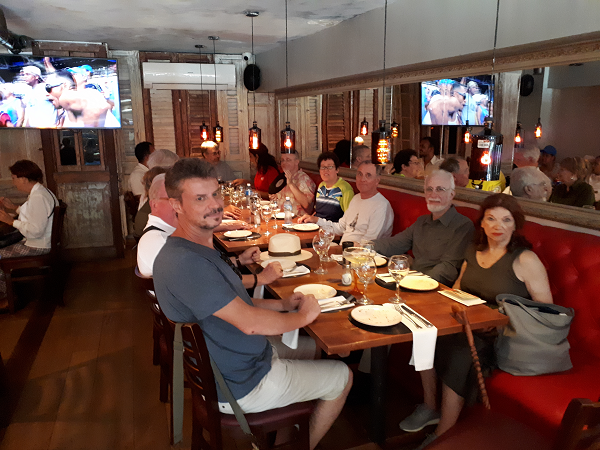 Later we split into groups, some enjoying Cuban cigars, and the some going for drinks at the famous Hotel Nacional de Cuba and/or El Floridita. The latter was made famous by Ernest Hemingway and features a life-size bronze sculpture of him at a corner of the bar. Altogether, it was a most unusual, interesting and enjoyable conference. If you’d not been to Cuba, before we recommend you check out the Havana 101 page we’ve created.